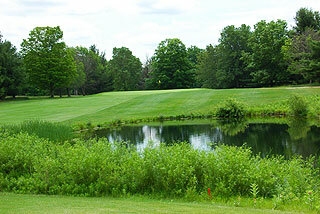 Betsie Valley is the original design at Crystal Mountain, and features ample contoured fairways with narrow approaches to a variety of green complexes. 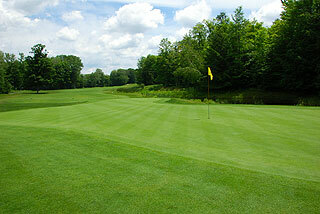 Most of the greens are quite accessible, with open fronts and mild bunkering. 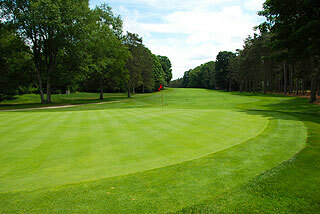 These traditional putting surfaces are usually small in size, making accurate approach shots especially vital. 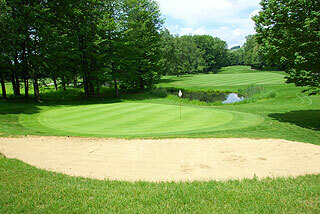 It is important to note, that golfers who have played Betsie Valley in past years, will find the two nines reversed. This means players will begin their round with a short but challenging par five with water in play on both sides of the winding fairway. 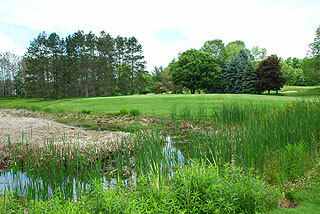 The back side begins with the original opening hole – also a short par five that plays probably 75 yards longer due to the severe uphill nature of the tee shot. Water hazards come into play on 8 holes, and sand bunkering is understated with just 22 traps strategically located near the landing zones and putting complexes. 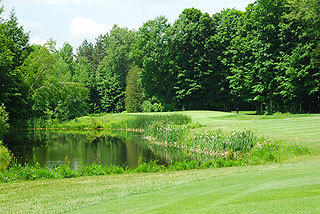 Landscaped waste areas also are present on par four 3rd and 6th holes. 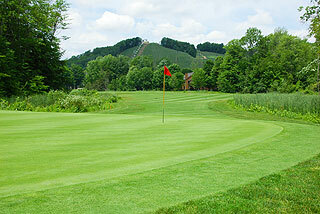 Similar to the Mountain Ridge course, the partial cart paths allow golfers to drive directly to their ball. 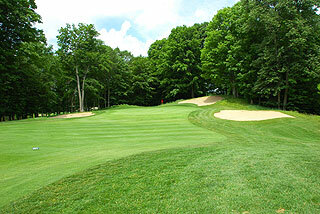 In Contrast to the Mountain Ridge, Betsie Valley is a shorter course and demands that golfers maneuver there way about the layout. Four sets of tee boxes play to distances and slopes measuring 6553 yards/127 slope, 5889 yards/120 slope for men and 125 slope for women,5076 yards/121 slope for ladies plus a junior/beginner tee area that plays to 2655 yards This is a fun and playable layout and a good course for resort golfers. For more info, visit our page for the course with direct link to their website by clicking here.